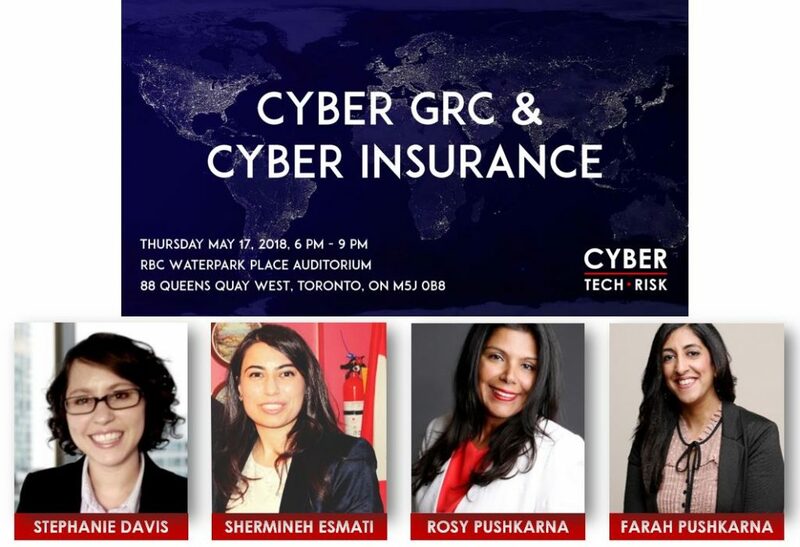 Cyber Tech and Risk is proud to bring you the high-demand event of “Cyber GRC (Governance, Risk, Compliance) and Cyber Insurance” at the amazing RBC WaterPark Place Auditorium. With more than 15 years experience in the cybersecurity industry, Danny Pehar is the President & Co-Founder of Cyber Insurance Education and has developed multimillion-dollar cybersecurity projects across North America. Danny is a bestselling author and uses his own Executive Security Storytelling formula to successfully educate organizations on the fascinating world of cybersecurity and cyber insurance. He’s also built an engaged television audience through his regular appearances on the Global Morning Show. Danny has spoken on the topic of cybersecurity and cyber insurance throughout various industries and has worked with numerous Fortune 500 companies. Shermineh Salehi Esmati, CEO at Cyrus BC Inc.